SGM offers more than just equipment and supplies for your in-house lab—we offer expertise, turn-key solutions and a continuing partnership for success. We put our extensive experience designing and equipping labs to work for your patients and your office today. Our team works together for you to shape your dreams into creating a world class lab. So if you are a lab manager, facilities manager, Engineer or contractor who is planning, budgeting, or setting up a new lab or expanding existing facilities, we can help with tailored solutions that meet your specific requirements. The products delivered by us have carved a niche in Domestic as well as International market. 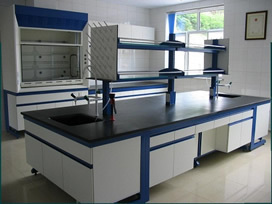 The growing demand of our products testifies our claims of being the prime manufacturer and Exporter of Laboratory Instruments and Scientific Equipment. SGM Laboratories are engaged in major dissemination efforts across their regions to share the latest findings and reviews of "what works" to improve educational outcomes. The SGM events are innovative, interactive forums with education practitioners, policymakers, and researchers. SGM is a laboratory service primarily dedicated to the design, implementation and conduct of environmental monitoring programs and compendia microbiological testing. We can help coordinate the procurement, delivery, and installation of a fully operational laboratory. You gain access to a staff of experts experienced in new lab setup, as well as sourcing for the majority of your equipment and Instrumentation needs.